The development of Virtual Field Trips has been made possible by our participating properties. We have developed valuable relationships with all of them and acknowledge their generosity in time and access to their properties and people. 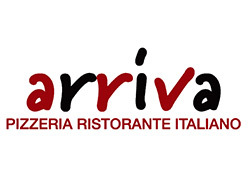 Arriva is an authentic Italian cuisine restaurant that presents a family-friendly atmosphere, which serves Italian meals that are rich in flavour. The wine list has a good selection from Italy as well as Australia. Arriva was awarded top honours for Best Traditional Pizza Maker, Best Use of Cheese and Best Seafood in the 2007 Dairy Farmer’s Best Pizza Challenge. 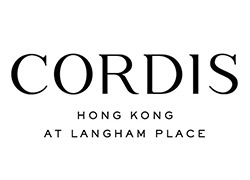 The Cordis Hotel, Hong Kong has 664 rooms and suites, rising 42 storeys above 555 Shanghai St, Mong Kok situated in the vibrant heart of Kowloon, Hong Kong. The hotel offers a collection of innovative, contemporary restaurants and bars, excellent workout facilities and state-of-the-art meeting and event spaces. 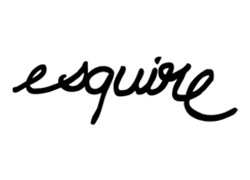 Esquire prides itself on a commitment between diner and the kitchen to offer a seamless flow with their set degustation multi course menu reflecting market availability. In a day by day design, the menu changes and prices can range from $90-$150 on any given night. Each night may present 12 to 25 items per menu. Wine matching is highly recommended by the Head Sommelier. Sitting on the western side of Jones Bay Wharf, Sydney Harbour, Little Fish Bar looks out over the striking Anzac Bridge and is ideal for post-work drinks and lazy Sunday afternoons. On this western side of the wharf, the local yachties prepare their boats and the view extends out towards the picturesque Balmain shoreline. 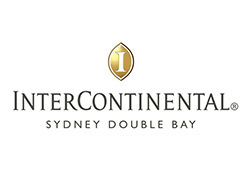 InterContinental Sydney located in the leafy Eastern Suburbs village of Double Bay is an exclusive address offering luxury and privacy at its finest. Retreat to this boutique 5 star Sydney hotel reminiscent of a private residence, and relax in one of 140 light-filled guest rooms and suites, with private balcony or courtyard and views overlooking the bay, village or French provincial courtyard. Ocean View Estates first planted grapes on the estate in 1998 and the first vintage was produced in 2002. Each year they grow on average 30 tonnes of grapes and make around 30,000 bottles of wine, using four different varieties: Viognier, Chardonnay, Shiraz, and Ruby Cabernet. Ocean View Estates is a multi award winning tourist destination, wedding ceremony venue, and restaurant. It is a family owned 56-hectare boutique winery located just 45 minutes from Brisbane. 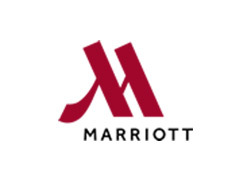 The award-winning Surfers Paradise Marriott Resort & Spa couples quiet luxury with spacious accommodation and intuitive service, providing an unforgettable hotel experience on the Gold Coast, Australia. Tucked amidst sparkling lagoons, white sandy beaches, and cascading waterfalls, are 304 rooms. Superb cuisine is offered at the many dining options, including Misono, Citrique, and Chapter & Verse bar and lounge. The May Fair hotel is a modernised historic 5 star luxury hotel in Mayfair, London. The hotel completed a $150 million renovation in November 2006, updating the hotel which was first opened with a suitably royal fanfare, by King George V and Queen Mary in 1927. It quickly established itself as one of the most elegant and stylish hotels in Europe, hosting decadent parties, and extravagant displays of wealth in the years between the wars. The Mayfair offers 400 luxury hotel bedrooms, including 12 of the capital’s most memorable hotel suits, a discreet spa, outstanding restaurants and bar. 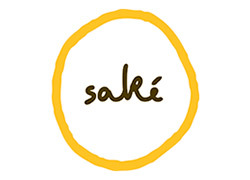 Strategically matched with an extensive sake, cocktail and wine menu, and awarded a Sydney Morning Herald Good Food Guide Chef’s Hat for six consecutive years, Saké Restaurant and Bar aims to continually surprise and delight with its dynamic, evolving menu. The establishment of Sandalford Wines in the Swan Valley in 1840 was the birth of Western Australia’s world famous wine industry. In 1970 Sandalford was one of three initial pioneers of the Margaret River wine region. Sandalford’s wine and wine tourism facilities have developed iconic status since the Prendiville family acquired the business in 1991. With advanced viticultural practices and a progressive winemaking team, they have a long-standing reputation for quality at every price point. In addition, Sandalford offers a unique blend of vineyard views and innovative Australian cuisine, great wines, and unmatched service at multi award winning restaurant. Patrons can experience dining in the rustic ambience of limestone, wood, and a grand open fire as well as alfresco atmosphere under 125-year-old vines. 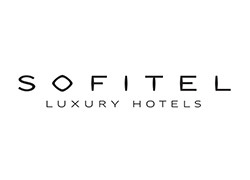 Located in the heart of Brisbane, the capital of Queensland, Sofitel Brisbane Central offers sophisticated luxury and personalised service. 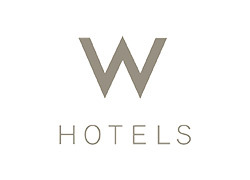 Renowned for its inspiring arrival experience via the alluring lobby, the wide choice of food and beverage outlets and breathtaking views of the city and surrounds, the hotel’s reputation as the leading choice in luxury accommodation and conferencing is deserved. 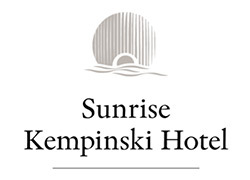 Designed by Shanghai Huadu Architect Design Co., Sunrise Kempinski Hotel, Beijing embodies the shape of the rising sun and symbolises harmony, unity and infinity. From a side angle view, the hotel building is shaped like a scallop which represents ‘Fortune’ in the Chinese culture. The front view is that of the ‘Rising Sun’ – Symbolic of the fast- developing economy of China. The lobby of the W Hotel in Hong Kong is decorated in an Alice-in-Wonderland theme which provides the guest with a fantasy experience. This view shows the concierge desk with a guest making enquiries. Notice the feature wall with various visions of the theme and the colourful throw cushions to offset the dark bench style seating. 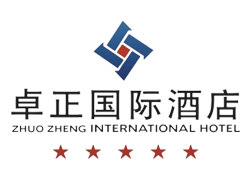 The ZhuoZheng Hotel is a 5-star hotel located in Baoding city, Hebei Province, China. It only takes about 1.5 hours to travel to major cities such as Beijing, Tianjin and Shijiazhuang via highway. The hotel building is a contemporary design with state-of-the-art facilities and equipment. Jumeirah Beach Hotel is a luxury property designed in a wave-like structure to be found in Jumeirah district of Dubai. This district proffers a white sand beach on the coast of the Arabian Gulf, considered to be the perfect spot to relax and explore Dubai’s fascinating cultural sights and attractions. Jumeirah Bach Hotel has 618 splendidly furnished rooms; suites and villas, 21 outlets presenting an assortment of casual and fine dining experiences and the widest selection of leisure facilities.